The Huichol Indians, one of the last indigenous people in Mexico, live very secluded in the middle of the Sierra Madre Mountains. They cultivate a deep belief, fostered by traditions, rituals and ceremonies and expressed through their artistry. Every single one of their artworks serves a religious purpose. 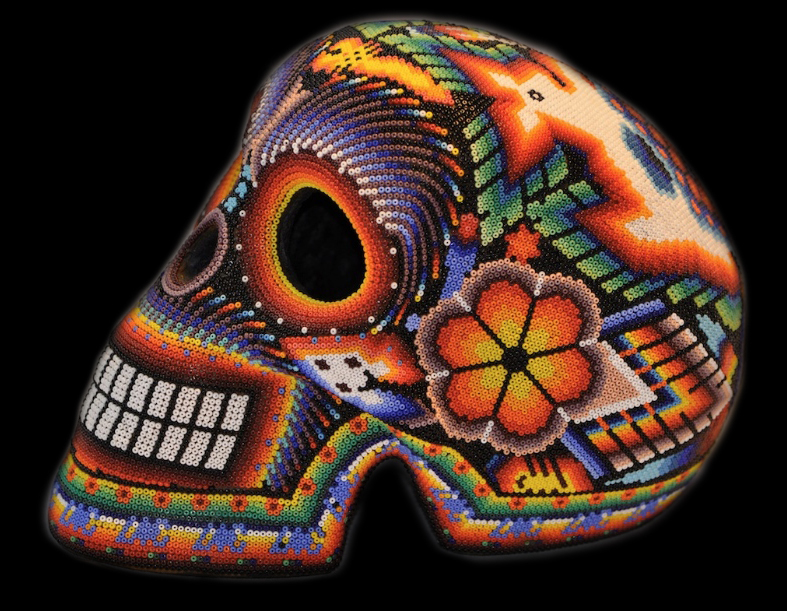 The Huichol Indians are especially known for skulls embellished with glass beads, the so-called “Skulls”. Each skull is manufactured individually and is an expression of the people's spirituality. 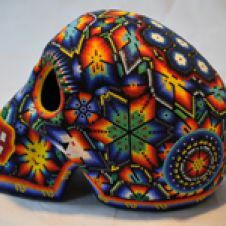 The manufacturing of these skulls requires great skill and artistry, the colourful skulls are very extraordinary. 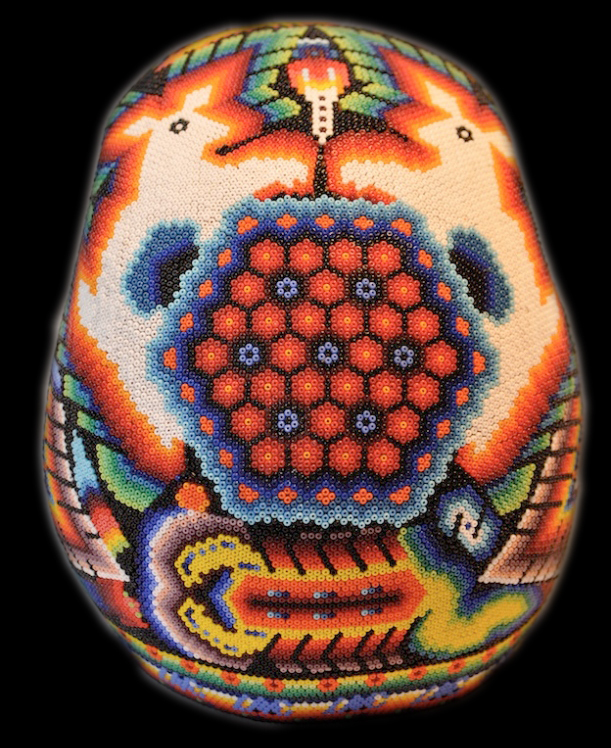 With these skulls the Huichol Indians express their joy of life, their connection with nature and their traditions. Their artistry and craftsmanship even influenced artists such as Diego Riviera or Frida Kahlo.